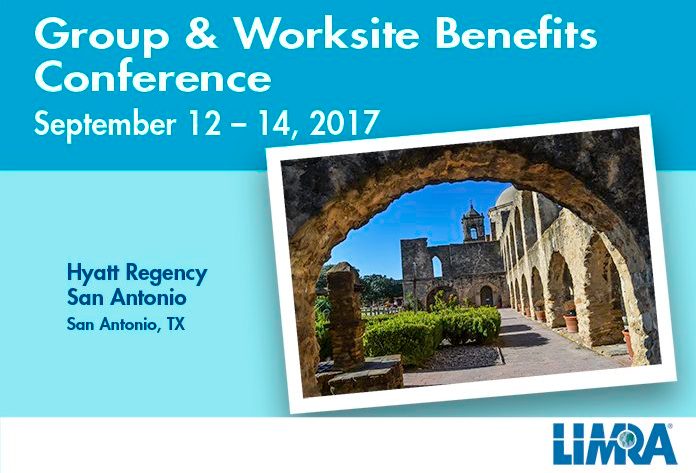 Last week Global IQX exhibited its automated sales and underwriting workbench at the 2017 LIMRA Group and Worksite Benefits Conference in San Antonio, Texas. The theme of the event, “Solving the puzzle for strategic growth,” highlighted many of the issues facing insurers, with vendors eager to showcase some of the latest insurtech solutions. The role of cognitive technologies in the group benefits workflow is taking shape. This is happening in the form of transformed interactions through virtual agents, empowered advisors that provide agents with guidance for customers, and optimized operations that assist workers in doing business. Cognitive IoT, analytics and computing are changing the way we interpret and use data, as well as how we understand and can emulate human cognitive functions. Technology trends for brokers was also examined through the conference presentations and identified that among brokers, strong customer service is seen as the most important issue, and the issue most in need of improvement, according to LIMRA’s Technical Report from earlier this spring (2017). Global IQX President and CEO, Michael de Waal, attended the event along with other IQX team members and provided his take on how the industry is viewing the rapid onset of insurance technology. “I think the new interest in InsureTech is making insurance companies and their advisors take a serious look at their current business processes and the technology that can support them,” said de Waal. On the subject of enrollment, brokers are split almost down the middle on using online (50%) versus paper (48%) for enrollment processes, highlighting that brokers either still find comfort in manual processes of the past, or the right technology solutions have not trickled down. This will challenge both carriers and insurtechs to provide solutions that will make this transition to digital more accessible. Yet, the percentage of brokers who agreed that employer demand for mobile and personalized enrollment technologies were 79% and 76% respectively, indicating that appetite for new supportive enrollment technology is already here. What is for sure, is that as technology becomes more pervasive, tools that support carriers, as well as brokers is increasingly essential and online, self-service enrollment portals is one step in that direction. With enrollment tools, cognitive technologies and changing workplace dynamics emerging as some of the key issues, it appears that the pieces of the puzzle for strategic growth are becoming clear, highlighting the importance of customer experience and insurer’s continued steps toward digital transformation. Visit the LIMRA website to learn more www.limra.com/gwbc/.